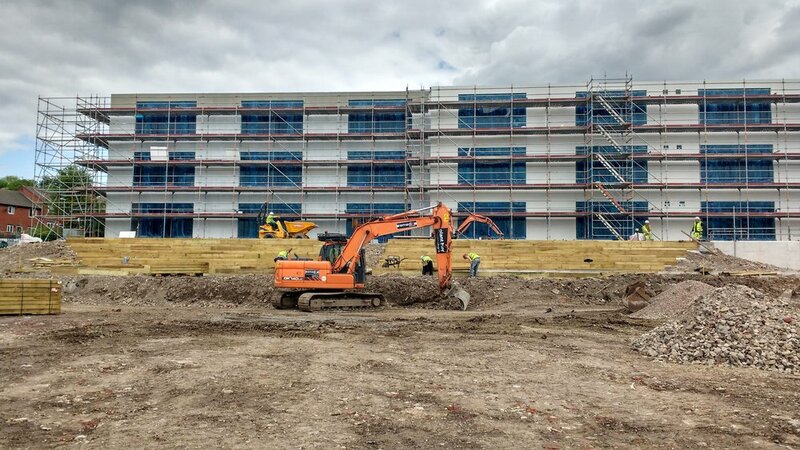 Whether it’s a primary school, hospital or manufacturing facility, our extensive experience, combined with national coverage, means we can provide our Modular customers with a total groundworks solution. Critical to the success of the project is our ability to develop a strong relationship with the Modular Contractor, and to establish both their specific requirements, and importantly, that of the end customer. We plan every construction activity to avoid disruption to existing day to day operations, and to prioritise the safety and security of all parties. Our team can manage initial activities such as CDM compliance, the set up of fencing and hoarding and the design and construction of the foundations; right through to the final drainage connections and entrance formations. Delivering a total groundworks solution means our customers can focus on the manufacture and delivery of their modular units.